Your dream of celebrating your own wedding in a castle and make the most beautiful day of your life unforgettable can now become true. The Castello di Oviglio castle is a unique and charming location, restructured and ready to welcome up to 210 guests. The castle hosts only one wedding anniversary per day so that all indoor and outdoor environments are available for the different moments of the event, along a path that offers different ambiences and views. The large upper park with century-old trees awaits you for a rich opening cocktail to welcome your guests, while in the main reception hall the we serve the main courses of the menu. The charming court at the foot of the Castle with its two-century-old platan tree is ideal for the final part of the event, with the cutting of the cake and then music and dance in the breathtaking scenario of the illuminated Castle. This configuration that can be maintained also in the event of bad weather or in the winter season, exploiting the interior of the Castle where, in addition to the reception hall and other spaces on the noble floor, the old kitchens hall and that of the former stables are available. The religious ceremony can be celebrated in the nearby parish church of the town of Oviglio and the castle suite that we offer to the bride and groom will be the perfect setting for the excitement of the preparations for the ceremony. 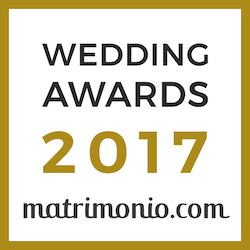 Our staff is always eager to make the organization of the wedding ceremony as seamless as possible and to assist the couples who decide to celebrate their wedding at the Castello di Oviglio castle. So they will be in direct contact with the suppliers of your special floral decorations for both tables and common areas, of the printed menus and wil take care of the tableau de mariage and signposts. We will also suggest some local contacts for musical entertainment, hairdressers and beauticians, shuttle transfers, or old carriages and vintage cars to make your wedding truly unforgettable. The Castle in-house kitchen can take care of the entire banquet, offering a gourmet and sophisticated menu accompanied by an excellent selection of wines. All couples who decide to celebrate their wedding with us on weekdays, i.e. from Monday to Thursday, will receive a 20% discount on the standard per-person price. COLD IS THE WINTER... WARM IS THE PARTY! All couples who decide to celebrate their wedding with us in winter months, i.e. from November to March included, will receive a 20% discount on the standard per-person price. For receptions with an actual number of over 150 participants, we will be happy to apply a 20% discount on the standard per-person price.